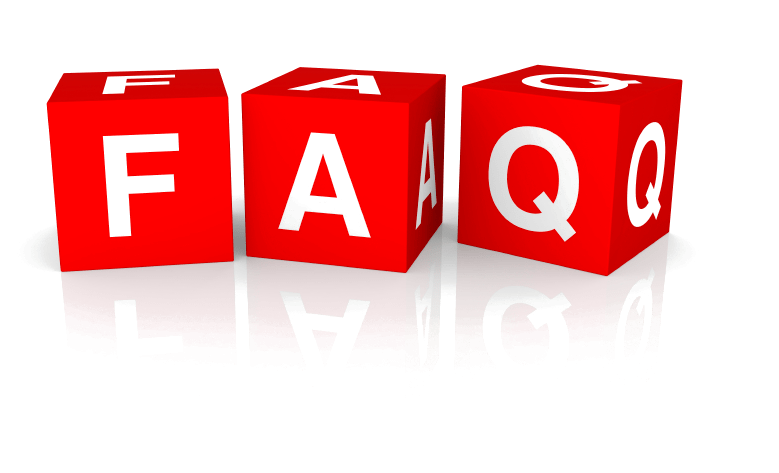 Most of the questions below were answered on my website, but I understand that you are busy or couldn’t read all the information, so I will answer the questions that most of my investors have. Forex is a global Foreign Exchange market that allows everyone to trade currencies online. Forex and ‘FX’ are shortened terms used for ‘foreign exchange’. Foreign exchange or ‘currency trading’ is the exchange of money from different countries. The value of one country’s currency is constantly changing against the value of another country’s currency. Forex traders make money through buying and selling currencies on the foreign exchange market. For example, trade the Euro against the US dollar. Forex and related markets is the largest and most liquid financial market in the world, where the average trade consists of trillions per day. Yes, we advise all our clients that foreign exchange trading does involve substantial amount of risk. With OBOFX you cannot lose more than your ‘margin’, the money you are prepared to risk plus the daily rolling fee if you have entered a Day Trade transaction. Profits are unlimited but you can never lose more than what you initially risked. However, risk only what you can afford. Before you join you need to read our Disclaimer and Terms and Conditions. How I can be a professional Forex Trader? Everyone has an opportunity to trade Forex professionally. It all depends on how patient and disciplined you are. How much can I earn in Forex? The profit opportunities in Forex are unlimited. Sometimes you can make up to 100% from your initial deposit and more. In average, professional traders make from 5% to 10% stable income on the monthly basis of their principle amount. How can I make profit in Forex? The currency trading is always done in pairs: EUR/USD, USD/JPY, etc. when one currency rate is going down, the other one is going up. You can earn money on both increase and decrease of the rate. The principle is to buy cheap and sell expensive or on the contrary: sell for a high price and buy when the price goes down. How can I start Trading Forex? In order to start trading Forex you have to open a trading account and have an access to the Forex trading platform with all necessary trading tools. If you didn’t trade before, we recommend you to start from our demo accounts where you can trade virtual money with live rates. Previous experience is not required. Experience can be gained by using OBOFX Demo account. As a next step, OBOFX gives clients the opportunity to open a Micro trading account where they may trade under real-time prices and market conditions with the minimum investment. Can you explain Day Trading at OBOFX? What type of account is suitable for me? OBOFX has four account types with different margin levels and spreads involved. This account is advisable for beginners who are totally new to the Forex market. The objective of this trial account is for beginners to get used to both MT4 trading system and the live Forex market as a whole. Getting virtue cash to trade is a vital step to raise beginners into a veteran Forex trader. Reflects the real world of Forex trading and is strongly recommended for professional merchants. Its leverage offer is up to 400:1, each minimum transaction can be Nano lot equivalent to $1,000 USD. It also provides online trading education materials, trading tools and economic calendar, and Forex news to assist traders to succeed in their trading performance. In all, the account offers the absolute trading area for traders to fully utilize their trading aptitudes and tactics that results to successful trading. Here, clients trade similar to mini account. The only special feature of this account is spread free, which means no spread will be charged on every trades but an amount of commission will be induced to the transaction depends on the lot size, profit and currency pair traded. For frequent traders tailor-made accounts are also available. You can speak to your OBOFX Account Service Manager to help you decide which account is best for you. What currencies can I trade with OBOFX? OBOFX offers all major currency pairs for trading, including exotic currencies, Gold, Silver and OIL also. The most popular are EUR/USD, AUD/USD, USD/JPY, USD/CHF, USD/CAD, GBP/USD, NZD/USD For further detail see our currency table that we offer to trade on our website. A lot is the standard unit size of a transaction. Depending on the financial instrument traded, the lot size is determined; i.e. a standard lot traded at OBOFX, for Forex trading, usually consists of a contract size of 100,000 (units of the base currency). The contract size is then proportionate as per the lot indication – standard or micro lot. As a result, a standard contract size of the GBPUSD is 100,000 GBP and the micro lot consists of 10,000 GBP accordingly. For details on all instruments traded at OBOFX, please refer to the Contract Specifications document of each account type. Spread is the difference between the Bid and Ask prices. When trading any financial instrument, you are offered two prices; the Bid price and Ask price. The Bid price is the selling price and the Ask price refers to the price offered for buying. The difference between the Bid and Ask is called Spread and varies for each financial instrument traded. An advantage of trading currency pairs at OBOFX is the low spreads offered, which is as low as 2-3 pips on majors. Margin is a guarantee for holding an open position. The amount is blocked from the client’s trading account when opening a new position and returned (unblocked) to the client’s trading account once the position is closed or hedged. Leverage is the use of various financial instruments or borrowed capital, such as margin, to increase the potential return of an investment. OBOFX offers trading with as low as 0.1% margin or 1:1000 leverage. A client can either buy or sell a Standard contract (1 standard lot) worth US$ 100,000 by using only US$ 100 as a margin (leverage 1:1000). In the same way, a client may buy or sell portion of a Standard contract, a Mini contract (1 mini lot) worth US$ 10,000 with a margin requirement of US$ 10 only (leverage 1:1000). Each client is required to monitor the margin requirement of his/her trading account. For example, for opening majority of financial instruments, for 2 standard lots, the trading account must have at least US$ 10,000 available for trading. This applies when the equity/margin ratio is 100% (leverage 1:100). In case of an adverse market move, when the available margin in the account falls below US$ 10,000, the trading account will be under the 100% required margin and will be on Margin Call. Margin call is a demand for additional funds from the client to bring the equity of the trading account to a required minimum level and to prevent the trading account from a possible adverse movement in price of the financial instrument, at the market. Equity to margin should not fall under 70% for major financial instruments on weekdays and should not fall under 70% on weekends for the majority of financial instruments traded with OBOFX (leverage 1:1000). What does a “long” or a “short” position mean? ‘long’ position or ‘going long’ is a market position where the client buys a financial instrument with the intent to sell it at a later stage, at a higher price. A “short” position or ‘going short’ is a market position where the client sells a financial instrument with the intent to buy it at a later stage, at a lower price. What is Over The Counter (OTC) trading? A market conducted directly between dealers and principals via a telephone and computer network rather than a regulated exchange trading floor. OTC trading with OBOFX means that you trade currencies with the aim to earn a profit, though you can lose as well. You don’t actually take delivery of these currencies. How do I know which currency will go up or down? Why has the price of the deals I am interested in changed since the last time I checked? OBOFX® deals are dependent on the FX market, which is dynamic and changes all the time. The fluctuations in the market, in currency rates, and in other parameters, affect our fully automated pricing engine. This is why rates and premiums may change all the time. For your convenience, we developed the Currency Rates Table which displays market data in real time and can give you an indication as to whether the rates are going up or down. When the rates in the bar are green it means they went up since the last update, when they are red it means they went down since the last update. What should I consider to look for in an online trading platform? 5.	easy deposit methods – e.g. e-wallets such as Liberty Reserve, Paypal, Moneybookers, Local Deposite, Debit/Credit Card and Bank Wire Transfer. 15. Genuine company with real people in real offices around the world. How long does it take to execute a deal? Deals are executed within seconds up to few minutes depending on the financial instrument in question. However, one of the major advantages of our trading platform is the Instant Execution on Forex currency pairs and Spot Precious Metals. How can I check the equity of my account and my deals/trades for the day? A Daily Statement is sent to each client stating all activity on each trading accounts. Clients may also check the status of their accounts directly through the Meta Trader 4 or through Mobile Platform. Can you explain about Sharia or Islamic Law Accounts and do you offer? Yes, OBOFX offers trading accounts which adhere to the Islamic law (Sharia) or we call it Swap Free Account. With Islamic trading accounts, when traders extend their Day-Trading deals to the next day, no rolling fee is charged. Accordingly, the maximum duration offered for Day-Trading deals is limited (usually 1 week but it can also be shorter or longer depending on the currency pair traded). What are Rollovers / Swaps? For all spot positions which are held open overnight, i.e. not closed before 12:00 midnight (New Zealand Local Time). Rollover / Swaps are either added or charged on each position depending on the financial instrument and whether you are buying or selling. Rollover charges apply on Forex currency pairs and Spot Precious Metals. However you could apply for Swap Free account during registration. How do I deposit money with OBOFX? In the MY OBOFX section on the website you can deposit money with your Debit/Credit Card, SKRILL, Cashu, Fasapay, Money bookers, Perfect Money, OBOFX Partner or with Bank Wire Transfer. When you register with OBOFX you are required to fax, or scan and email, your passport or ID card; a bill or statement (e.g. telephone bill, bank statement) showing your residential address; and both sides of your credit card. We do this to ensure the safety and validity of your account. You will find withdrawal instruction in you MY OBOFX Cabinet when you login at the website. To withdraw money you must have supplied the required documentation and get Verified status. A withdrawal to a bank account where initial deposits have been performed by credit cards will be executed back to credit card or to bank account at company’s discretion and policies and with regard to Anti Money Laundering (AML) regulations. Can you send me rates via e-mail? What should I do if I have a problem regarding a specific OBOFX® deal? Please send an e-mail to support@OBOFX.com with details of the problem. We endeavor to respond to such e-mails within 24 hours. Is online dealing at OBOFX secure? Yes. We use the internationally accepted security system SSL to encrypt all credit card payments over the web. This is automatic, and you will receive instant notification if your browser does not support this. Why do I get a message saying my browser isn’t compatible with the site? OBOFX is tested using a range of browsers and operating systems. Some older browsers, however, do not support the full range of functions required. We recommend using Firefox, Google Chrome or above. Upgrading to the latest browser can mean enhancing your surfing experience and improving your online security. Can I include a link to OBOFX on my website? If you would like to put a hyperlink through to the OBOFX website on your own site maybe you can apply to be our affiliate partner, please send an e-mail to partner@obofx.com. How can I increase my Forex activity? With OBOFX you can increase your level of participation in the Forex market. Some of the programs below are not offered in all world regions. How does OBOFX make money? The cost of foreign exchange trading is determined by the difference between the buy rates and the sell rates of the currencies (spread). The spread is one off our income and not cheating traders to lot on their trading as we are at the same level of market maker. Am I charged fees or commissions on deposits and withdrawals? No, at OBOFX we are transparent with all our charges but maybe only when you using some of e-wallet service. Please do find out with you e-wallet service for any extra charges on deposits and withdrawals. What is the maintenance margin at OBOFX®? OBOFX does not charge a maintenance margin. Can funds be transferred/withdrawn from a third party to my trading account with OBOFX? How if I want to open more than one account? You just need to login into your MY OBOFX cabinet and open a new trading account at inside. Can I manage multiple accounts in MetaTrader 4? Can I open two or more live account in different currencies? Yes, you can have multiple accounts but your deposit will only appear as US Dollar. Will you close my live account if it has a zero account balances? No, we will not. You can have a functioning live account with a zero account balance. Can I access my Live Account from different computers? Yes. It is possible to log in into your live and/or trading account from any computer that has MetaTrader 4 platform downloaded. You can even be logged in from different computers simultaneously. Please be careful with your login and password. I have lost a password to my account. What should I do? Do I have to supply genuine contact details? I don’t want to receive any Spam. Client information is important for us. If you supply inaccurate information then your account may be deleted. We will never disclose your contact details to any third parties, but will use your details to let you know of any important changes that may affect your account. What is the difference between demo and real account? Demo account is virtual account that ideal place for beginner to learning the basics of Forex. Demo account conditions are similar to real account: order execution technology, quotes, working with orders – everything like on a real account. I forgot my demo account password, how can I get it? Demo account password can’t be recovery. If you saved an internal mail with your demo account registration data you can find your password there. Otherwise, you will have to open a new demo account. Demo account is not allowed to change the leverage in OBOFX. In this case, you will have to open a new demo account. How do I add funds to a demo account? It is impossible to deposit a demo account. You can open a OBOFX Live Account to make real trading. What are your spreads for the MT4 Demo account? Our Demo spreads are fixed and same with real account, if you require the minimum and typical spreads for Mini and Standard account, please refer to our website. What time do I see in my MetaTrader? Our trading platform server time zone is GMT +3. All trades, pending orders and historical data will always be shown as GMT +3. The time you see in the Market Watch window is the time of the latest quote. No, the time zone of our servers is always GMT +3. In this time zone we avoid having small candlesticks on Sundays which allows the running of technical analysis and back testing to be smooth and straight forward. Do you guarantee stop losses? Order execution is guaranteed under normal market conditions but not guaranteed under abnormal market conditions. Under abnormal market conditions or when the order level falls within the price gap on the market opening, the order is executed at the quote which is presented in the quotes flow during the process of order execution. Buy stop, sell stop or stop loss is executed at the level less profitable for the customer; buy limit, sell limit or take profit is executed at the level more profitable for the customer. No, the time zone of our servers is always GMT +3. In this time zone we avoid having small candlesticks on Sundays which allows the running of technical analysis and back testing to be smooth and straight forward. I like to trade over news releases and volatile markets, is this problem? Not at all, OBOFX is highly geared for active trading. Please refer to our Client Agreement in respect of order execution and spreads under abnormal market conditions. You shall consider the risk of trading in the high volatility market. Can I place trailing stop orders? Yes, you can. Please note that trailing stops become inactive when you log out of MetaTrader. Is my trailing stops remain active when I turn off my computer? No, trailing stops are maintained locally on your machine and therefore requires that your MetaTrader 4 platform remain on and connected to the internet. If you disconnect the MetaTrader 4 platform from the system, any open trailing stops will be converted to a hard stop or limit. How close to the prevailing price can I place stop and limit orders? Limits and stops must be set at least 10 pips away from the prevailing market price. When I go offline do you close my open positions and placed orders? No, we won’t, open positions and pending orders stay in the system even if you log off from your trading platform. The same situation apply to all orders types except trailing stops. Trailing Stops become inactive when you close or log out of MetaTrader. Expert Advisors also become inactive when MetaTrader is closed or you are not logged in. Can I be long and short in the same instrument simultaneously? Yes, you can. This is called ‘matched’ or ‘hedged positions’ – long and short positions of the same transaction size opened in the same instrument in the same account. The margin required to open and maintain such positions is equal to margin requirement of one open trade, of the usual initial margin per transaction. How soon will my funds be credited to my account? Funds received Credit Card is normally credited within 1 working days of receipt. Deposits made using your Credit card beyond the core business hours of 9.00am – 5.00pm New Zealand time may not be credited until the next 2 to 5 working day. Funds received during the day by a Bank Wire will be credited 2 to 3 working days, although we strive to credit as many as possible on the day of receipt. For more information, please refer to deposit and withdrawal Section. This depends on country and bank service to make transaction to. Can I withdraw my money if I have open positions? Yes, you can. However at the moment of payment, your free margin must exceed the amount specified in the withdrawal instruction including all payment charges. Free margin is calculated as equity less necessary margin (required to maintain an open position). If you do not have sufficient free margin in your trading account we will not carry out the withdrawal request until you close the open positions in your account. Which currencies can I use to place a deposit in my trading account? OBOFX offer trading account for USD. You can deposit money with us in USD, GBP and EUR. If you transfer funding in GBP to your account, the GBP you have sent us will be converted into US Dollars by OBOFX at the prevailing inter-bank price at the time. Can I stop trading at any time? Can I place trade via email? No. We do not accept trades via email. You may place a trade online. What is the account history? 1. Check your PC system date and time. What is “Bid” and “Ask”? This is a buy and sell price on the quotes you see, when you open or close an order. The difference between the two prices is called the Spread. All the charts in trade terminal are shown at “Bid” price. You can set up your terminal to show Ask price as well. To do so, press F8 on the chart window and in “Common” tab put a tick “Show Ask Line”. Upon “Buy” order opening, the open price is “Ask” and the closing one is “Bid”. Upon “Sell” order opening, the open price is “Bid” and the closing one is “Ask”. A stop loss order was hit, while there was no such price on chart. It often happens with beginners in “Sell” positions. It happens because the trader doesn’t take spread into consideration. Upon “Sell” order opening, the open price is “Bid” and the same price is shown on the chart. “Sell” order close price is “Ask”, i.e. “Bid” price + spread. You can set up your terminal to show “Ask” price as well. To do so, press F8 on the chart window and in “Common” tab put a tick “Show Ask Line”. What is «Stop-loss» (S/L) and «Take-profit» (T/P)? A «Stop-loss» is an order, which can be put either upon opening the position, or after it is already opened. The goal of this order is to minimize loss, i.e. after the price reaches the set value, your position will be automatically closed with a fixed loss. Or with a profit if you set your S/L into zero value. A «Take-profit» is basically the same order, but working in a reverse way, i.e. after the price reaches the set value, your position will be automatically closed with a fixed profit. For instance: as you open a long position (long means buy), you open a buy position up at Ask price, and close it at Bid price. In this case you can set “Stop-loss” under Bid price and “Take-profit” over Ask price. Subsequently, as you open a short position (short means sell), you open a sell position up at Bid price, and close it at Ask price. In this case you can set “Stop-loss” over Ask price and “Take-profit” under Bid price. Now let’s assume you want to Buy 1 lot GBP/USD. You open a new order, request the current quote, select the required currency pair, enter the volume in lots, set the S/L and T/P (if needed) and press “Buy”. You have bought at Ask price 1.2453, which means Bid at that time was 1.2450 (spread is 3 points). A “Stop-loss” order can be set under 1.2450. If you set it at 1.2400, it means that if the Bid price reaches 1.2400 your order will be automatically closed with a 53 points loss. A “Take profit” order can be set over 1.2453. If you set it at 1.2500, it means that if the Bid price reaches 1.2500 your order will be automatically closed with a 47 point profit. What are pending orders “Stop” and “Limit”? How do they work? These are orders which will be opened when the price reaches the value set in the orders. A Buy/Sell Limit is executed only when the market price is (or is better) than the price set in the order. Buy Limit is usually placed under the current market price and Sell Limit is placed above the current market price. Buy/Sell Stop is executed only when the market price is (or is worse) than the price set in the order. Buy Stop is usually placed above the current market price, and Sell Stop is placed under the current market price. What are the conditions for S/L, T/P, Stop and Limit orders? For all currency pairs the order price must differ from the current market price (Bid or Ask, depending on the order direction) for at least a size of spread. You cannot place any pending order closer to the current market price. What are “Margin Call” and “Stop Out”? The Company has a right to close customer’s positions without notifying him, in case equity is less than 30% of the required margin (for opened positions). If several positions are opened, the company can close one or several of them, starting from the one, generating the largest loss. The trade account condition is controlled by the server, which closes all positions automatically, if margin level reaches 30% (or less) for Micro/Standard account. This situation is called “Stop Out”. It is performed by the current market price. Why has my position closed by itself? Obviously there were not enough funds on your account to keep the position opened. As soon as the margin level reaches below “Stop Out”, the server automatically closes all the positions. This event is also recorded in log files with a comment “stop out”. If several positions are opened, the first one to close will be the position with the highest floating loss. What are “Support” and “Resistance” levels? Support level is a level lower than the current market price from which the trend, supposedly, can turn upwards. Resistance level is a level higher than the current market price from which the trend, supposedly, can turn downwards. What are long-term and short-term positions? In general, long-term positions are those, which are supposed to last several months or even years. Mid-term orders are those, the goals of which should be attained in the nearest 1-3 weeks. Such wording of the terms is spread within banks and investment funds, and is also used by market analytics in their prognoses. There is another scale between traders. Orders within 1 day are called “Intraday”, orders lasting several days are called “short-term”, mid-term – for a week or 2, long-term – for a month and more. This scale is, of course, unofficial, and is spread within self-traders. What are the most convenient and frequently used hotkeys in Metatrader 4? F9 – new order, Ctrl + L – show volume on charts, Ctrl + N – show navigator window, Ctrl + O – open properties, Ctrl + T – open/close terminal window, Ctrl + Y – show period dividers on chart. Why do I see only 4 currency pairs in market watch window, while I know there should be much more of them? Go to market watch press right-click on any tool select “Show all symbols”. Is it possible to use custom experts in the terminal? Yes. To install a new expert you need to copy it to C:\Program Files\Meta Trader\Experts and restart the terminal. After that you will see your expert in the Navigator window. New order” button is inactive. Has my account been blocked? If the “New order” button is inactive, it means you logged into your account under Investor password. Re-login to your account under trader’s password. It allows complete account management; only under it you can open, close or edit positions. It is also used during funds deposit/withdrawal and for account verification. Investor password is for a view-only access. “Sell” and “Buy” buttons are inactive. Has my account been blocked? If “Sell” and “Buy” buttons are inactive, it means you have a wrong volume selected. For “Mini Account” minimal volume is 0.01 lot and maximal is 100 lot. For “Standard Account” minimal volume is 0.1 lot and maximal is 500 lot. I can’t log in to my account, I keep getting “Invalid account” message. What should I do? 2. You didn’t log in to your account for a long time and it was deleted or blocked. Please contact to account@OBOFX.com to unblock account. I can’t log into my account, I keep getting “No connection” error. What should I do? Few Possible reasons is maybe you have no internet connection sometime Port 443 is blocked in your network due to your firewall is blocking port 443 and you may try add Metatrader as an exception from your computer firewall. I can’t trade. When I try to open an order, I get “Trade content busy” message. What should I do? This message appears when a trade operation has failed (e.g. when you try to open a new order, when the previous one is not yet processed), due to server connection failure. To erase the query queue it is necessary to reboot your terminal.